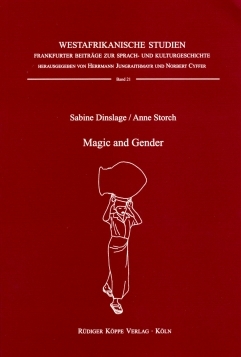 Author: Sabine Dinslage, Anne Storch. Series edited by: Herrmann Jungraithmayr, Norbert Cyffer. 16 pp. Roman, 266 pp. The Jibe are a small ethnic group of about 4.000 speakers inhabiting Kona village and the surrounding area south of the river Benue in Taraba state, northeastern Nigeria. The Jibe, also called the Jukun of Kona, are traditionally farmers, fishers and hunters, with pottery as an important minor source of income. Historically, the Jibe were part of the larger Jukun-dominated Kororofa Empire, until they were conquered by the Fulbe in the middle of the 19th century. The present study examines in detail the hitherto poorly documented and endangered language and culture of the Jibe. The Jibe language belongs to the Central Jukunoid languages, which are part of the Benue-Congo phylum of the Niger-Congo language family. The book is divided into four parts: The first part gives a general introduction to the geography, environment and history of Kona, including a detailed account of the chosen mode of research. The second part presents a sketch of the Jibe language, including phonology, morphology and aspects of morphosyntax. The third part comprises an ethnographic survey of Jibe culture, including social and political structures, religion, economy and material culture. Special attention is given to the concepts of magic, witchcraft and gender which have to be regarded as the foundations of the whole cultural and social structure. Each of these sections concludes with a thematic word list which gives the vocabulary of the respective semantic field. The final part of the book includes a detailed English-Jibe index. [...] our positive opinion concerning this original study which almost exclusively is based on the authors’ own field research. It is beyond any doubt that they have achieved their aims which were: 1. „[...] to meet the needs of the people of Kona trying to preserve and document their vanishing cultural heritage“ and 2. „[...] to present as much as possible on both language and culture of the Jibe of Kona“ (p. V).